Where did February go? I last posted at the end of January and since then life has been very busy, which combined with another case of “blogger’s block”, means I haven’t got round to posting. Today is an “admin day”. A day at the weekend when we stay in our pyjamas and Archie and Flossie play on their iPads all day (I know, we are bad parents) and Jo and I catch up on lots of things we should have done in the last few weeks. I like admin days every now and then. I’m sat at the dining room table typing this. Across from me are Jo and Henry, working hard on trying to sort out what Henry will be doing after his GCSEs. His mocks didn’t go as well as any of us would have liked, so we need a back up plan should he not be able to get a place to do A levels (or the Scottish equivalent) when he moves back to the UK in the summer. Since my last update we’ve had a couple of weekends away, first at the Cove Rotana Resort in Ras Al Kaimah and then camping in the desert in Oman. We had a nice time in RAK, enjoying a relaxed brunch on the Friday, followed by a dip in the pool (which was very cold), and then a few hours in the sun on Saturday. Camping in the desert in Oman was fantastic, I’ll try and get round to doing a blog about it so won’t say more here. These weekends away were punctuated by the now traditional (does two years in a row count as traditional?) Australia Day BBQ & Sports Day at Todd and Lyndell’s (Australian friends) end of the compound. I’m delighted to report that the Northern Hemisphere won the cricket match comfortably (I’m surprised a number of us didn’t get called up for the World Cup, we would have done better than the embarrassment of an England team), but we’ll gloss over the other sports. Flossie in particular got stuck into all the games, insisting on taking part in some of the ladies only games which proved quite violent. Anyway, a great afternoon and evening was had by all, and I am sure competition will be resumed again in 2016. We’ve also had our second set of visitors of 2015, Jane, Martin and family. They spent two weekends with us, with a few days in Dubai in between. Of course we had to introduce them to the infamous “Friday brunch”, taking them to our favourite venue, the Ritz Carlton on the first Friday. They enjoyed it so much (not sure if it was the chocolate cocktails that did it, or the foie gras on top of rare beef that sealed the deal) that they insisted on us going back the following week. Of course, we didn’t really want to, but you have to keep your visitors happy. The visit nearly got off to a disastrous start. We decided to have a BBQ on the evening they arrived, the first for some months. During the afternoon Jo decided to check the BBQ was working ok – it is a gas one – so she connected the new gas bottle and attempted to light it. An explosion ensued, during which the accumulated grime on the BBQ caught fire, resulting in the entire thing ending up as a tangled mess on the floor. Thankfully Jo was uninjured and kept her head enough to whip out her phone to get some footage for Facebook (phew). I was despatched to Ace (think B&Q if in the UK) to buy a new BBQ, a charcoal one this time obviously, which we are very happy with. 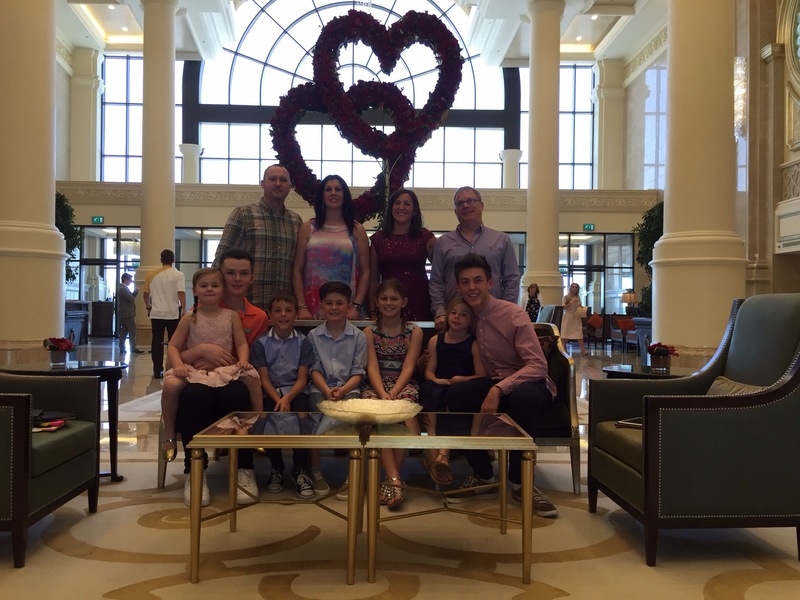 Whilst Jane and Martin were with us, as well as brunch we squeezed in a trip to Yas Waterworld, a day by the pool at the Westin Hotel (thanks to Groupon), and a few other things, adding up to a great time all round. There were six children in the house whilst they were here, meaning the house was a little mad at times. It has certainly been quiet since they left at the start of last week, Martin looking forward to taking delivery of his new pigs (how are they settling in Martin? ), but we are now building up to our next visitors (Jo’s parents) arriving in a week. All three children are fine. 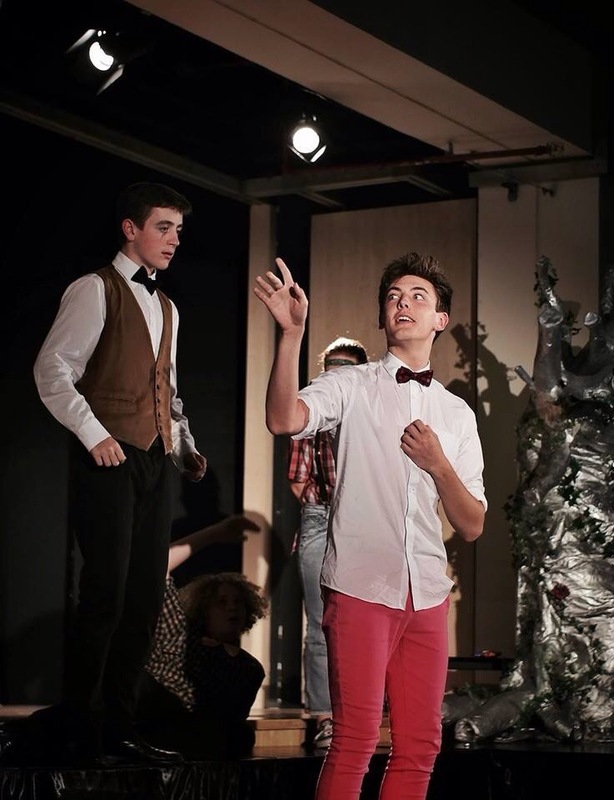 Revision aside, Henry was the star of the school play a couple of weeks ago. He was Bottom in “A Midsummer’s Night Dream” and the common view was that he stole the show every night. Apparently his death scene on the final night was a tour de force, so we look forward to watching it on the official video soon. Other than that he has been on a Duke of Edinburgh expedition to RAK, which he enjoyed. Now he needs to knuckle down to his studies for the next couple of months…..
Archie and Flossie continue to enjoy their new school. They are definitely working harder, so are exhausted by the end of the week. Both have had sports day in the last few weeks, and we got good reports from their parent teacher consultations recently, so it is good to know that the move has been successful. Jo is as busy as always. For the last few weeks she and a few gym buddies have been having weekly Arabic lessons. From what I can tell they spend the best part of the hour on serious learning. And the final few minutes learning swear words, or talking about different aspects of UAE “culture”. Work is still busy for me. We’re recruiting heavily at the moment to match the growth in the business, so I’m looking forward to a number of new joiners in the coming weeks. At the start of February we started a contract with one of the large Government departments in Abu Dhabi, so it is fascinating for me to be able to compare what I used to see in the UK with how things work in the UAE. Right, we’re onto talking about revision timetables across the table, and things are getting a little tense, so I shall go and see if I can do anything to help. I suspect my excel skills may be about to come in handy. Great to see the update. Get your nose to the grindstone, Henry, after your great acting performance, sure you will!